Volunteers will honor fallen heroes at Arlington National Cemetery this weekend by placing roses at headstones. For those who want to help the effort, the nonprofit organizing it says donations can go a long way. 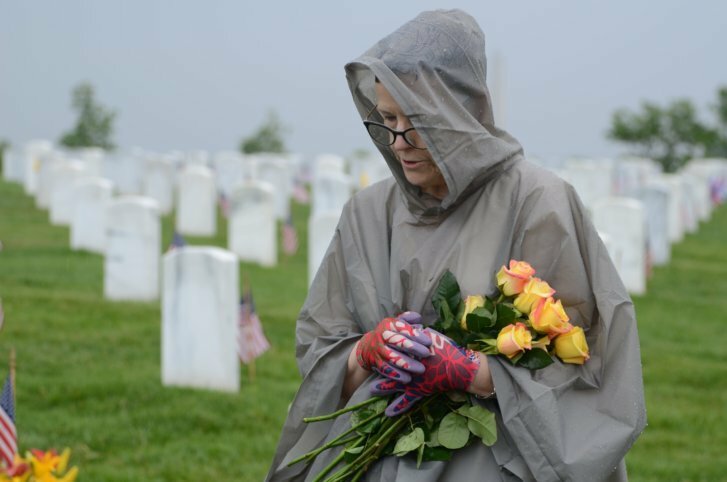 WASHINGTON — As volunteers honor fallen heroes at Arlington National Cemetery this weekend by placing roses at headstones, those who are also interested in helping the effort can do so with a donation. “Our goal is to make sure that every headstone gets a rose in front of it. That would be about 280,000 roses. And then making sure that every visitor on Monday gets a flower to place at the headstone of a loved one,” said Robin Penaherrera, founder and director of the nonprofit Memorial Day Flowers Foundation. The tradition started in 2011 and has grown to include 31 other cemeteries across the country. At Arlington, at least 1,200 volunteers are expected to take part this year. Last year, they had 750. A large number of volunteers are Boy and Girl Scouts. “When you see a headstone like Omar Bradley with five stars …’The Soldier’s General,’ and you put a flower there, it’s a great honor. These people did so much for us, and I think it’s important for us to learn a bit about our history,” said Penaherrera, who has five family members buried at Arlington. The foundation is trying to recruit more company sponsorship, but even small donations from individuals make a big difference. “Ten dollars will place a rose on 12 headstones; $100 will actually get you a bucket of 125 roses,” said Penaherrera. Donations to the foundation can be made online.